Corner Lot with new Zoning that allows: 150' Height, to build a 100-Plus residential units and retail stores with 157 Frontage facing busy 125th street and 218 Depth. the City Economic Development Dept & Building Officials would gladly welcome a Condo/Hotel to enhance City infrastructure; with an auditorium/ Convention center, plus retails services on the base & Condo units on the top, and perhaps a heliport on the green-rooftop. 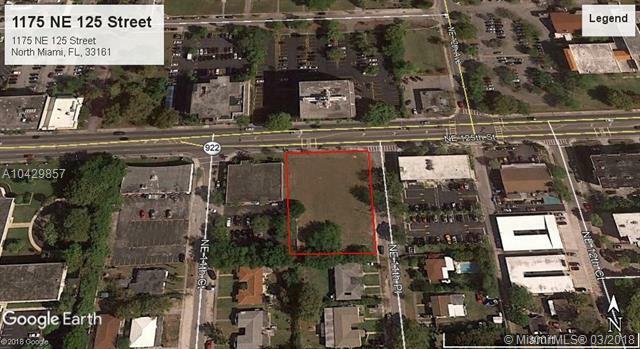 The property is located in North Miami, several blocks from the Museum of Contemporary Art and the City Hall of North Miami.